I am sure that time and again you’ve heard ‘Time is Money’. In fact, Time is the most precious resource that every person has. While there are different meanings of this, I”ll focus on how it applies to investing. In the investing space, Time is not money but TIME CREATES MONEY. Yes, you read it right. TIME CREATES MONEY. Take a minute or two and memorize this. If you get this , you will be richer (not just in terms of money, but in terms of career, health , purpose) than what you could ever be and we will consider our mission accomplished to a large extent. When I talk about time, it is basically the power of compounding at work… Helping your money grow EXPONENTIALLY! In Albert Einstein’s words, “Compounding is the Eighth Wonder of the World”. I certainly agree. The emperor thought that the mathematician was crazy to ask for such a modest reward when he could have asked for something bigger. 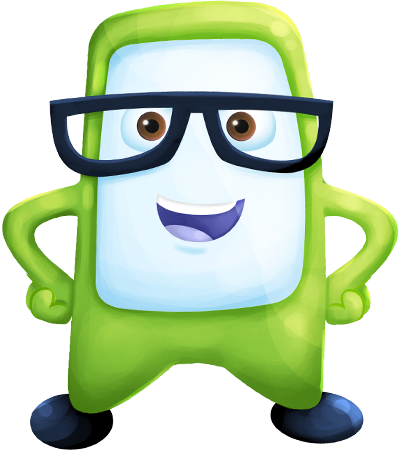 On the day of the reward, the emperor gave the mathematician one grain of rice for the first square. He then went on to give him two grains for the second square. For the third square, the emperor gave 4, then 8, followed by 16, 32, 64 and 128. On the 14th square, the emperor had to give 2048 grains of rice. Things became interesting after 28 squares when the amount of grains had crossed almost 1,000 tonnes. By the 60th square, the king had to give 1,15,29,20,00,00,00,00,00,00,00,000 grains of rice. The king could not pay and was declared bankrupt. The mathematician then took over the empire and lived happily ever after. By the way, there was no need to go on until the 64th square. This is the power of compounding. So, why do we not take advantage of the Power of Compounding? Because we don’t TRULY understand it’s power till we actually experience it. Compounding works slow at first but just shoots off like a rocket over time and is then unstoppable. 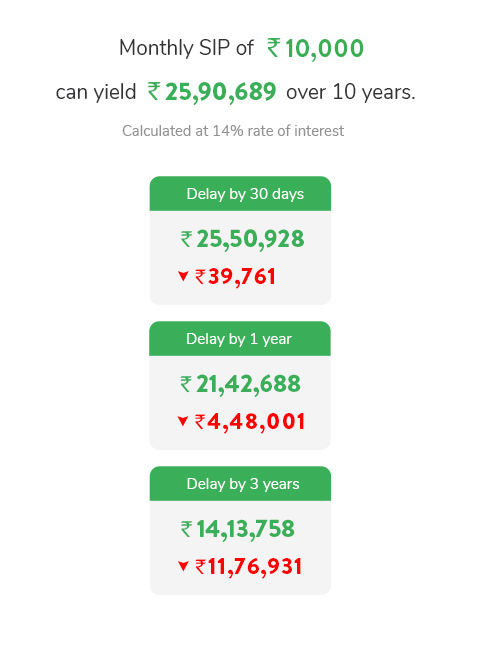 Look at the below graphic to understand how a delay in investing by even a month or a year can make you lose out, a lot! As you can see, over 10 years, a one year delay could lead a loss of Rs. 4.5 Lakh. While a 3 year delay could cost you Rs. 11 Lakh. That’s a lot of money that would have come in handy for taking care of you and your loved ones – taking your dream vacation, securing your child’s education, buying your dream home or safeguarding your retired life. The most important thing to do is to make a decision to start investing NOW and like the Nike Slogan says “JUST DO IT”. You are burning or throwing away money by not letting TIME work for you. Do you still want to wait?